Christmas Planning 2011 - 7 weeks to go! 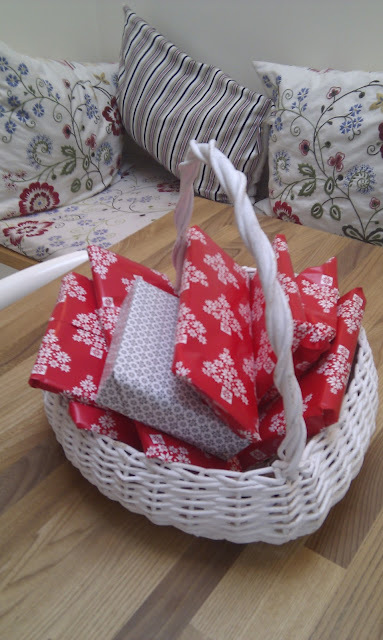 I also wrapped - this time away from little prying eyes - the kids' advent gifts. 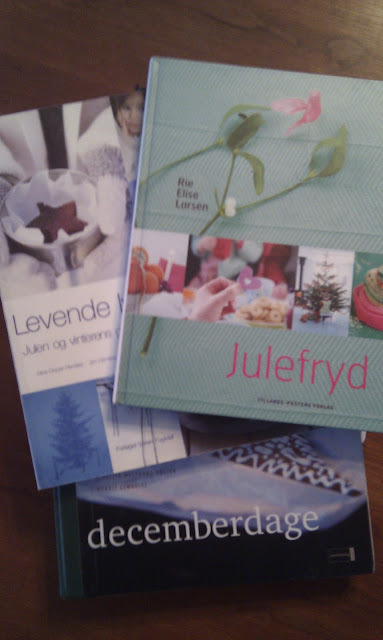 In Denmark it's traditional to give the kids a tiny present every day in December. I tried doing that for a couple of years and a) it was time consuming b) need I say stressful to find 24 different small gifts? c) expensive bien sûr and, d) the kids said "Wow!" when they opened their gift each morning, before promptly throwing said gift into a pile with all the others, before moving on to something else. So now we give them a present each Advent Sunday morning. 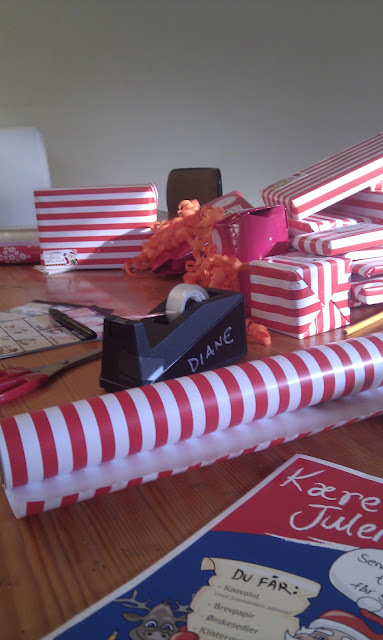 And I've already bought and wrapped them - ha! And my goals for next week? Well, as the diary is filling up with Christmas lunches, concerts, bazars, etc, etc, I want to get the freezer filled up with easy eats. I'm thinking of making up a few lasagnes, my world-famous Danish meatloaf (Forloren Hare). And lots of cooked minced beef that I can pull from the freezer, pop into the crockpot and turn into bolognese (meat) sauce, chili con carne, taco filling or Beef in a Bowl (Oksekød i fad). Diane, you've got it together! I was organized at work and got everything ready there, but here at home I haven't even thought of Christmas yet. Except for making my limoncello, of course!